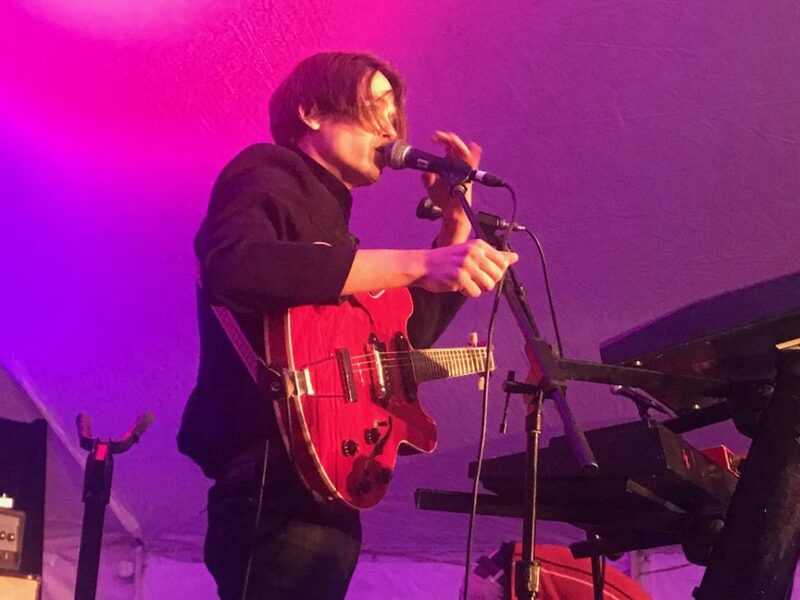 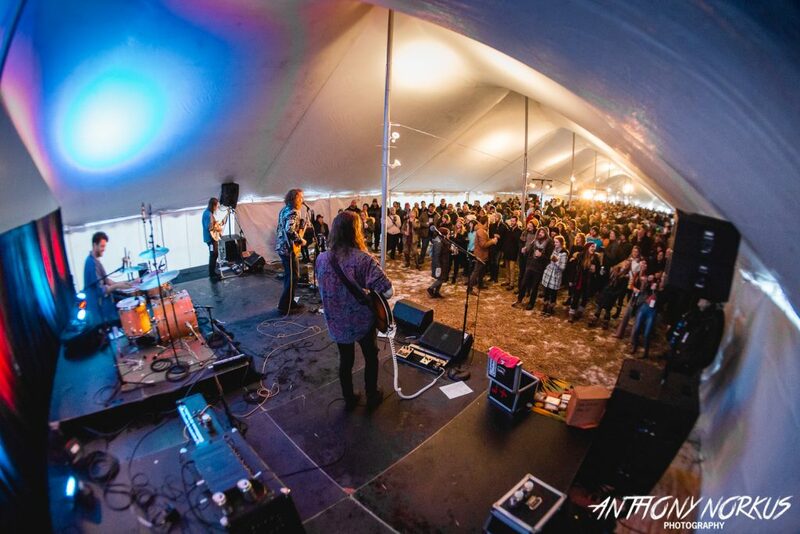 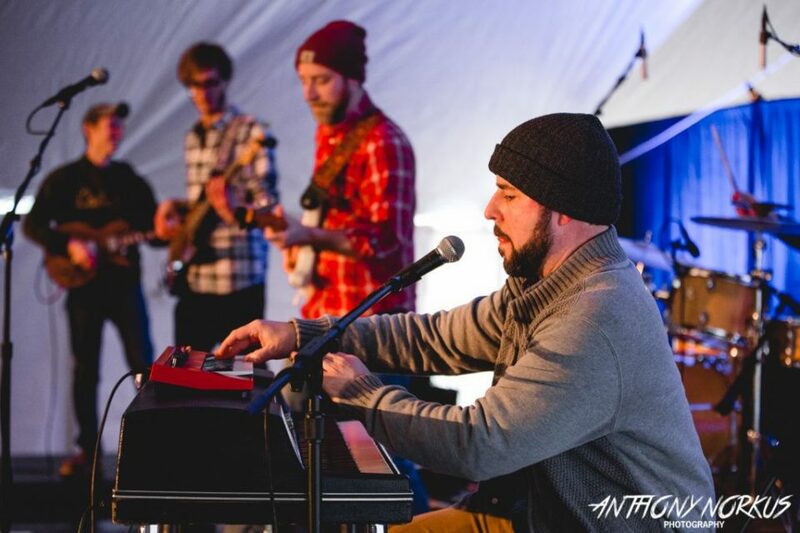 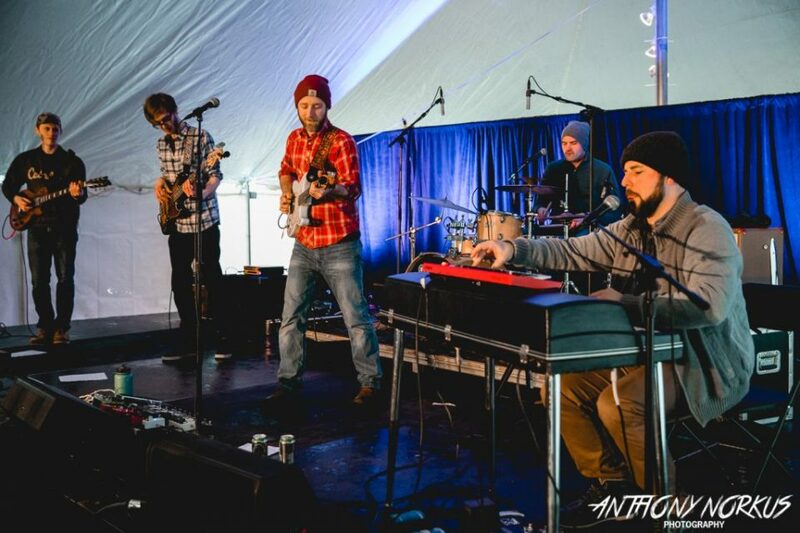 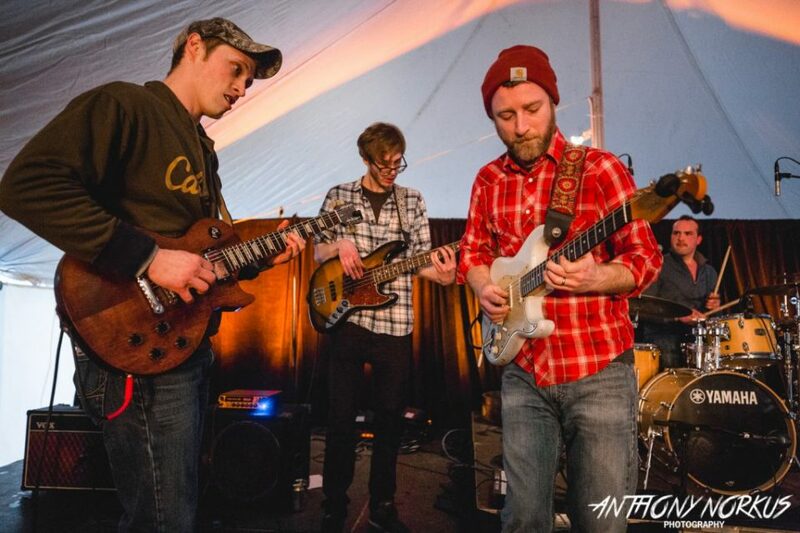 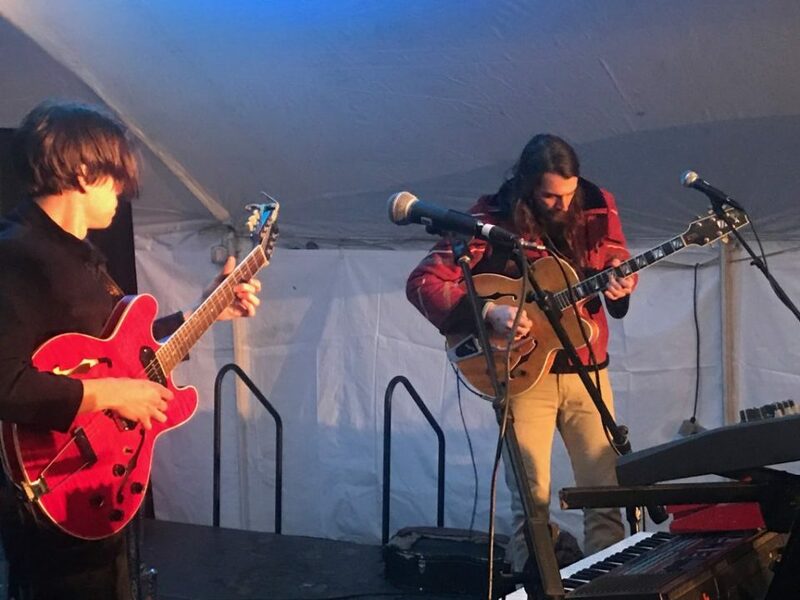 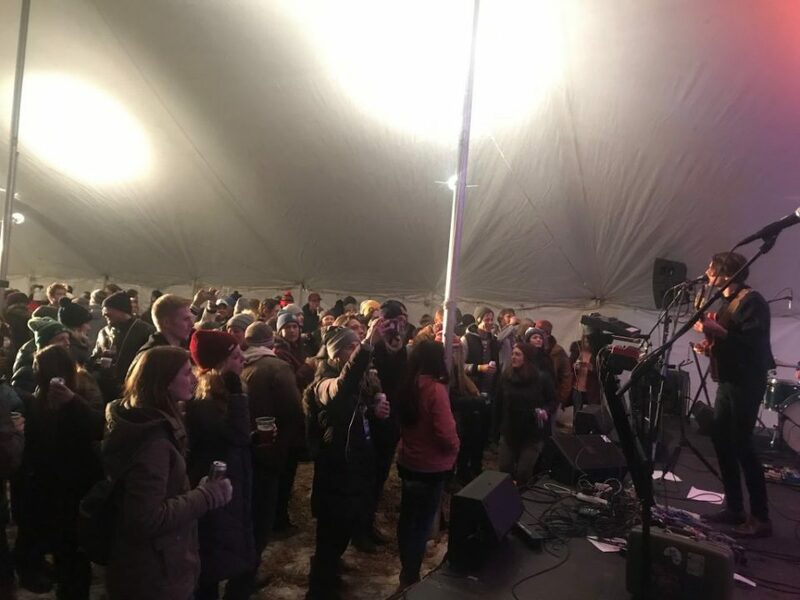 Thousands braved Saturday’s frigid temps to run and rock at the third annual outdoor winter festival in Comstock Park with sets by The Go Rounds, The Legal Immigrants, The Turnips and Syd Burnham. 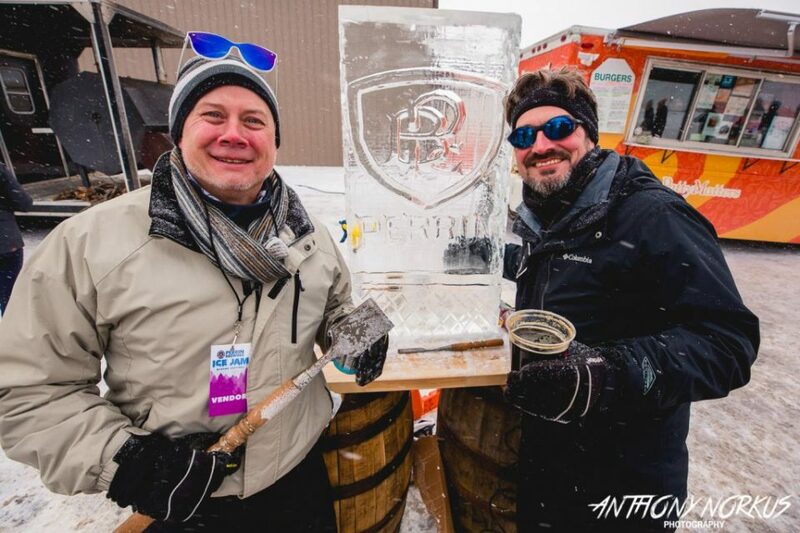 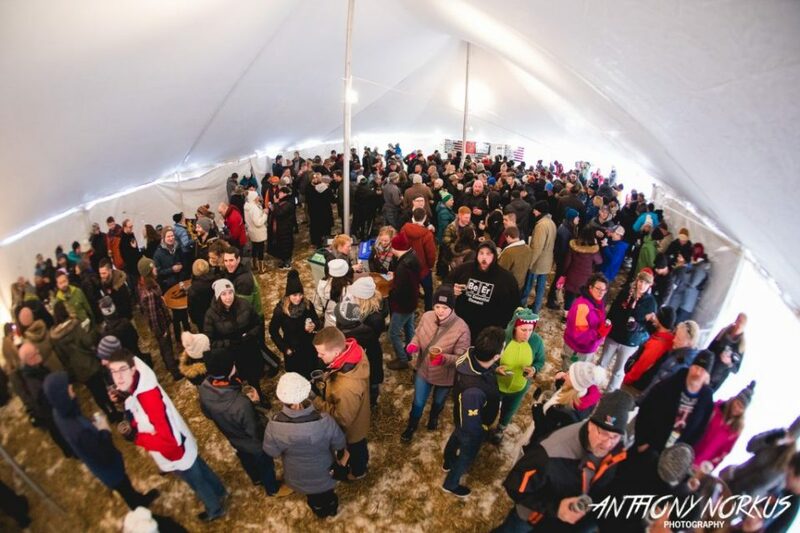 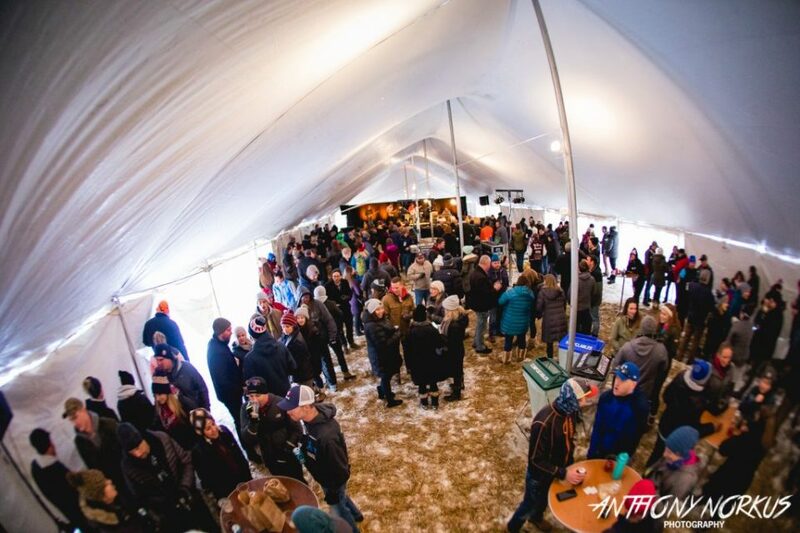 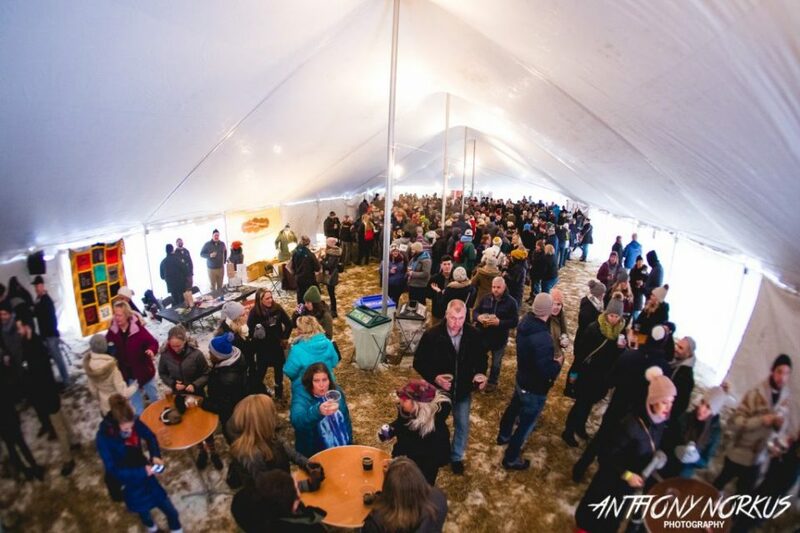 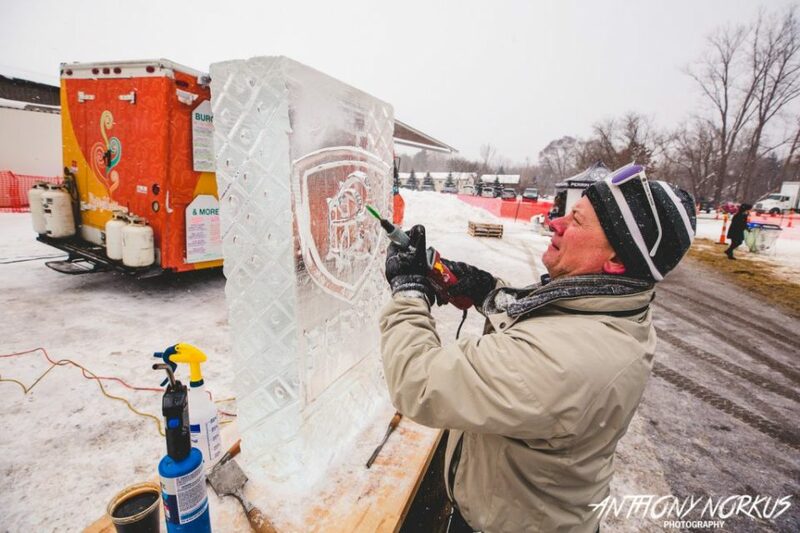 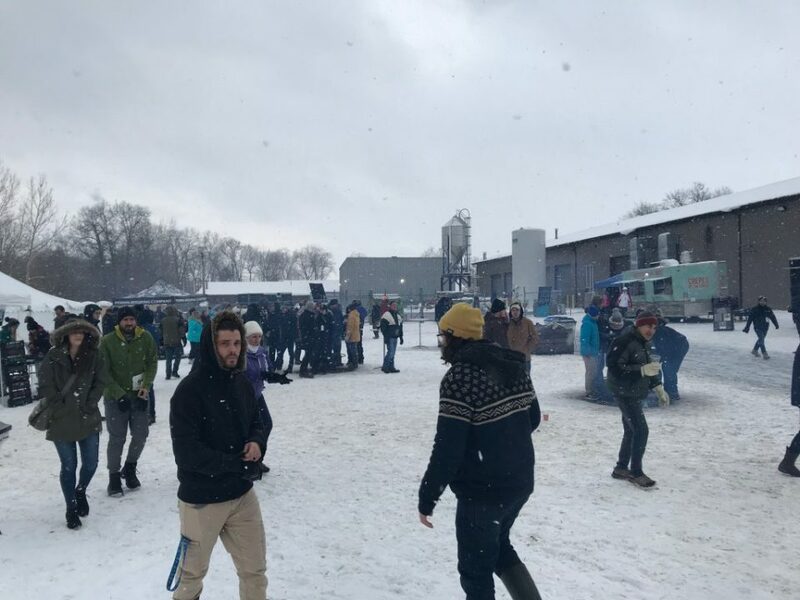 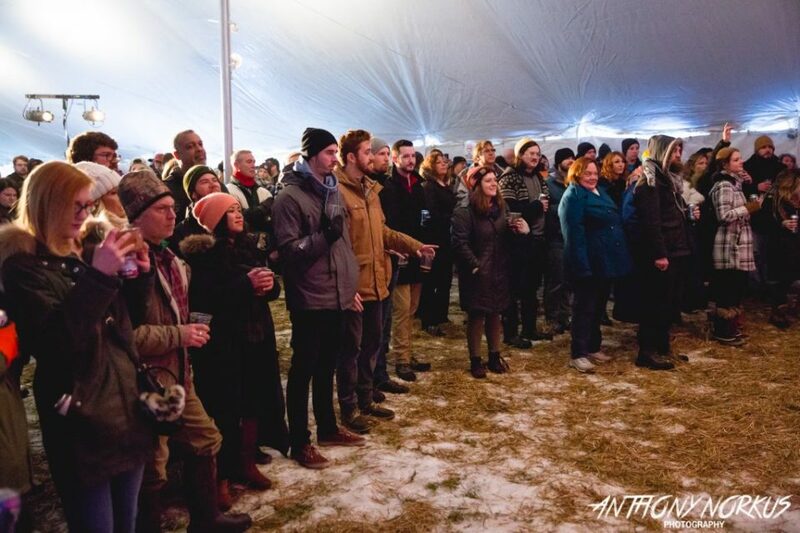 With temperatures in the teens on Saturday afternoon, Perrin Brewing’s third annual Ice Jam Winter Festival certainly featured plenty of ice (and snow) – especially when compared to last year’s nearly balmy edition of the event. 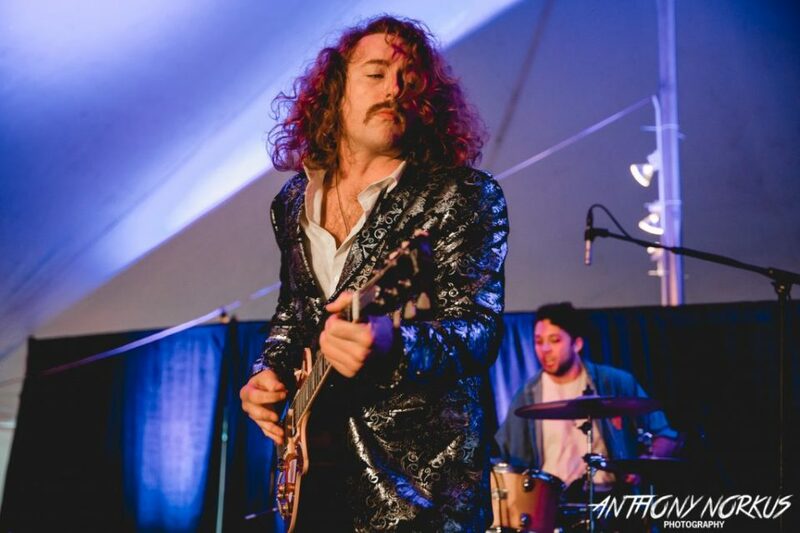 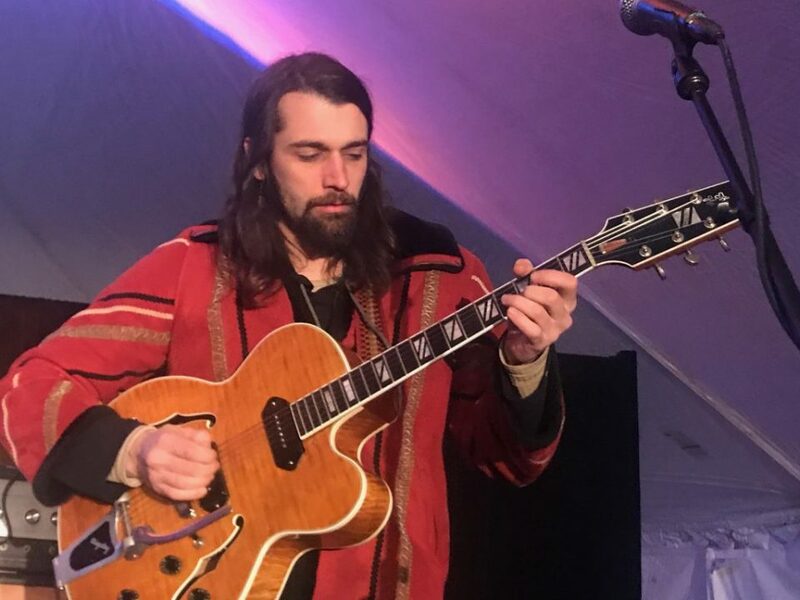 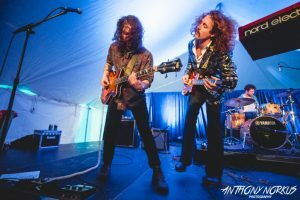 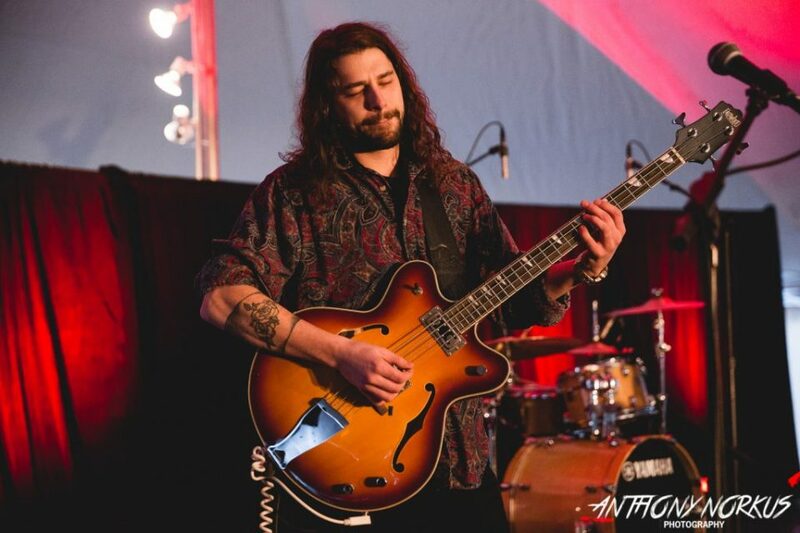 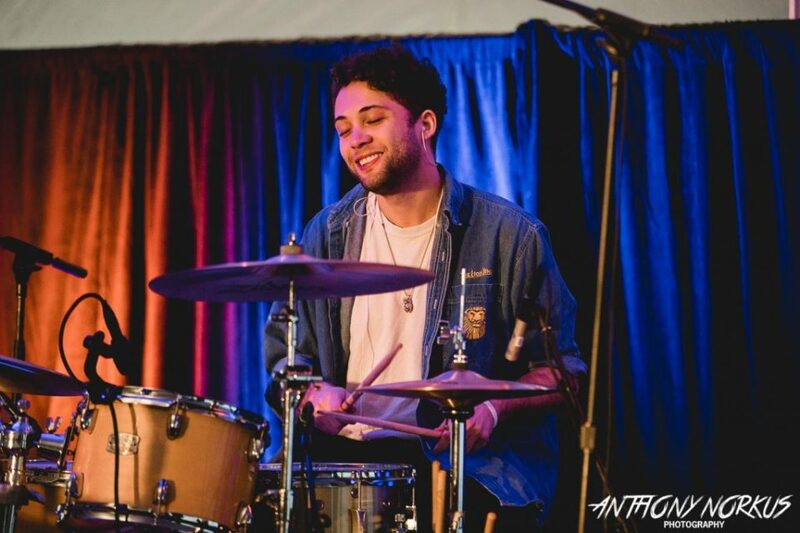 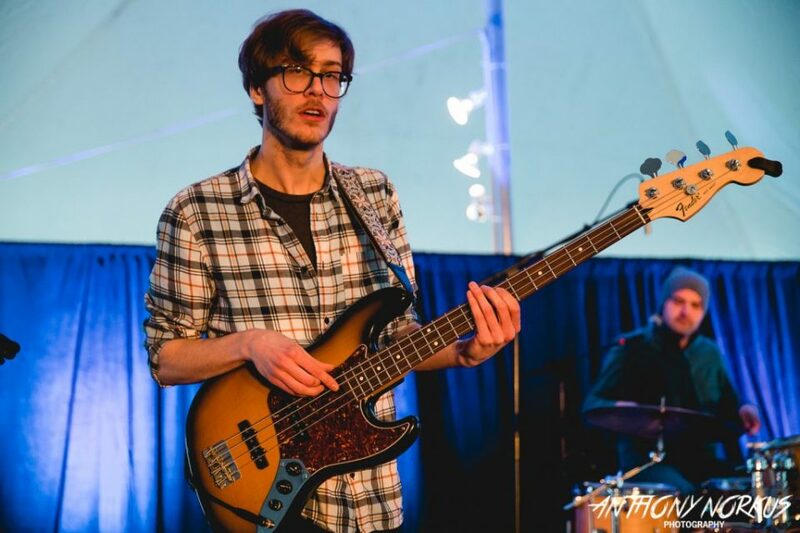 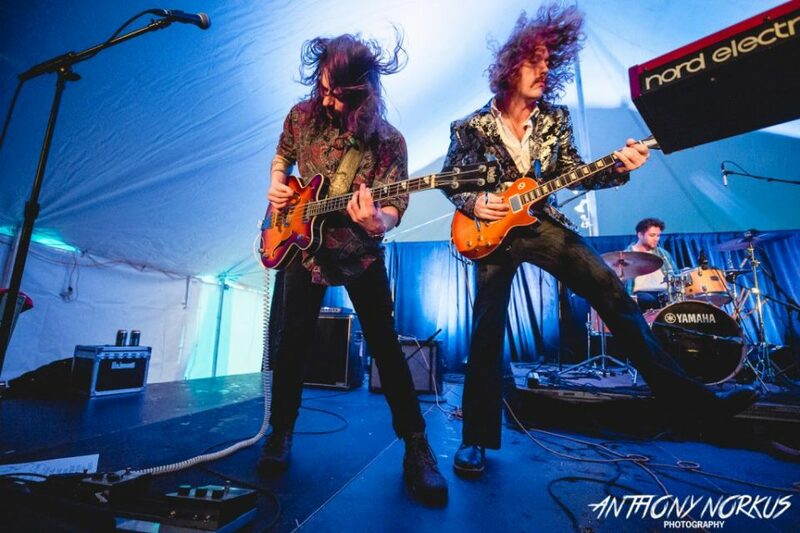 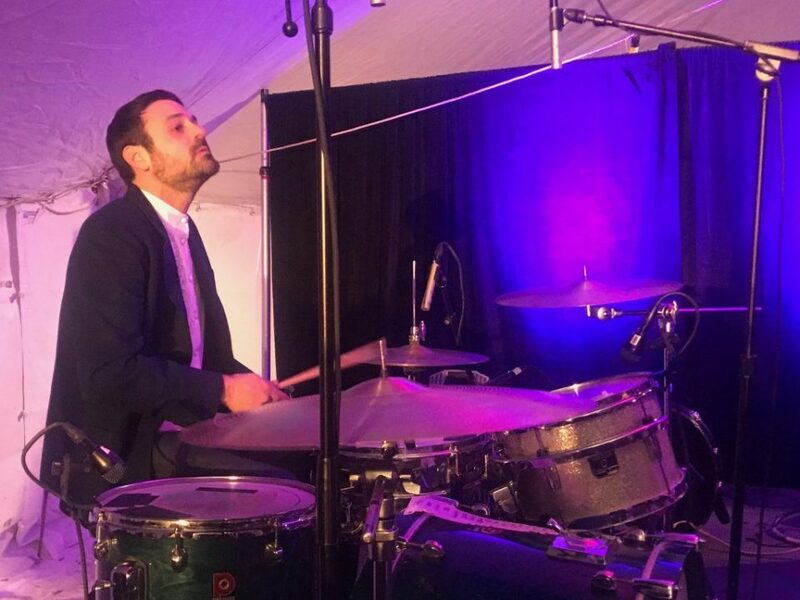 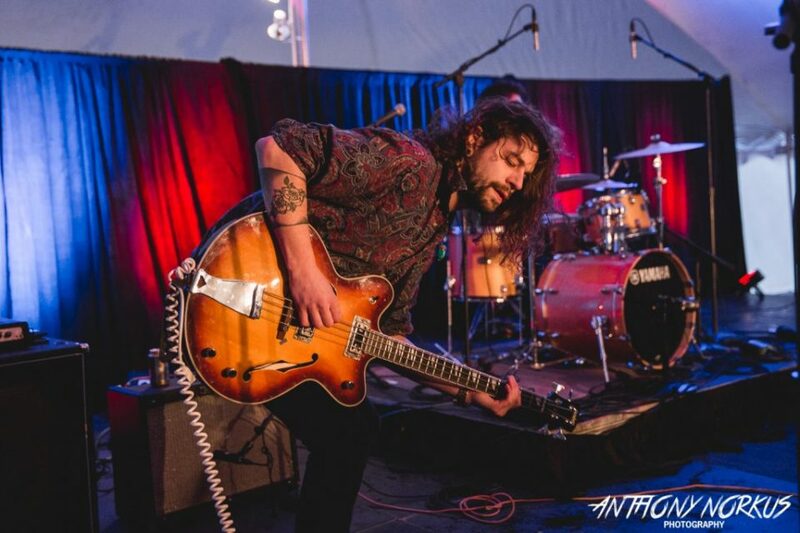 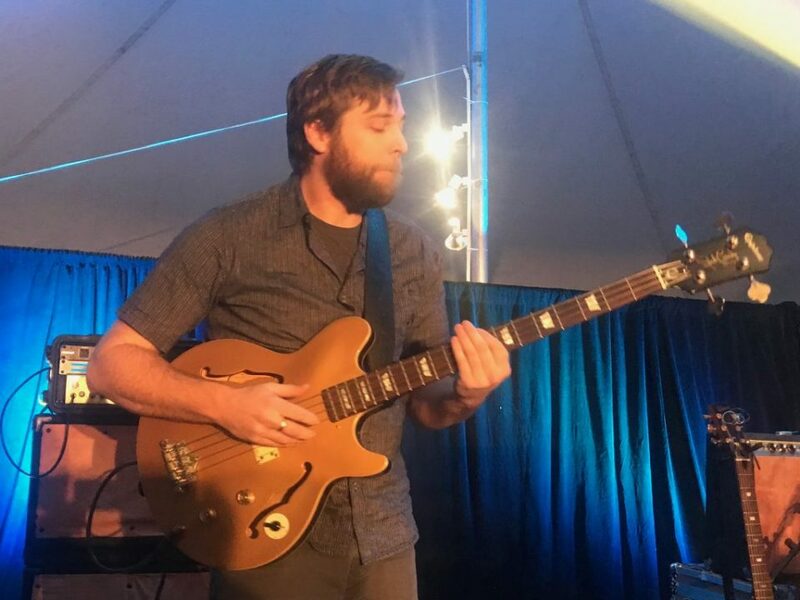 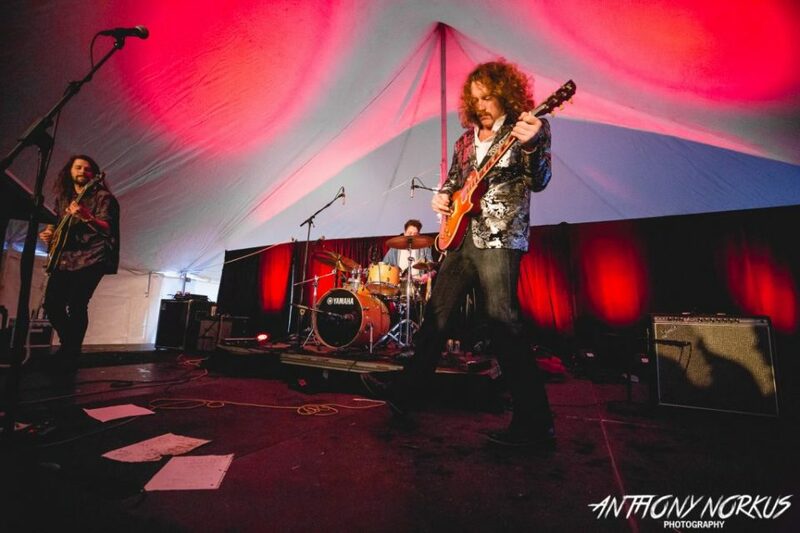 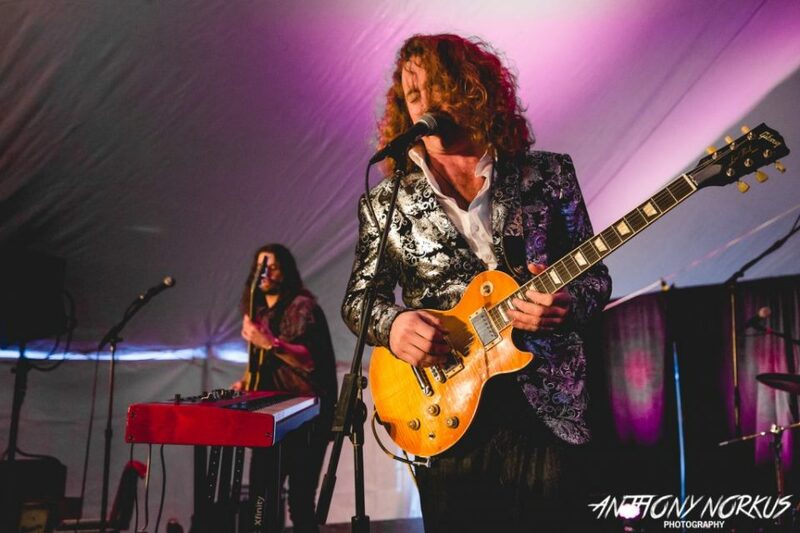 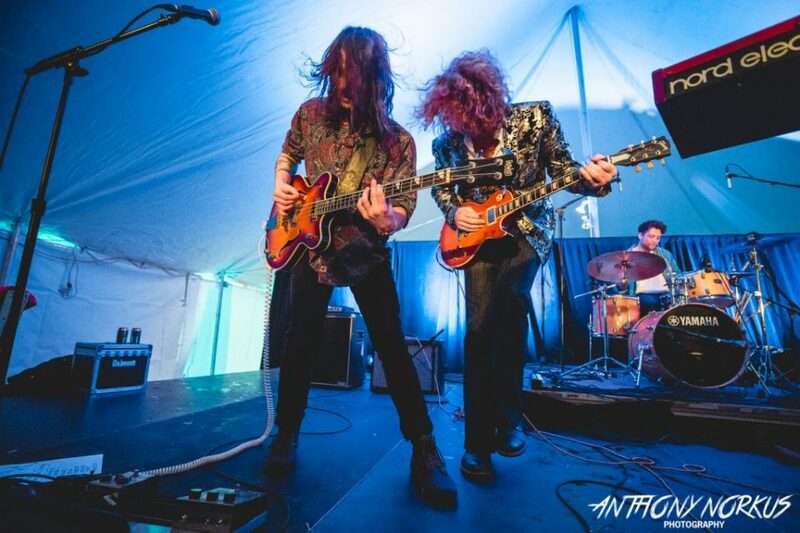 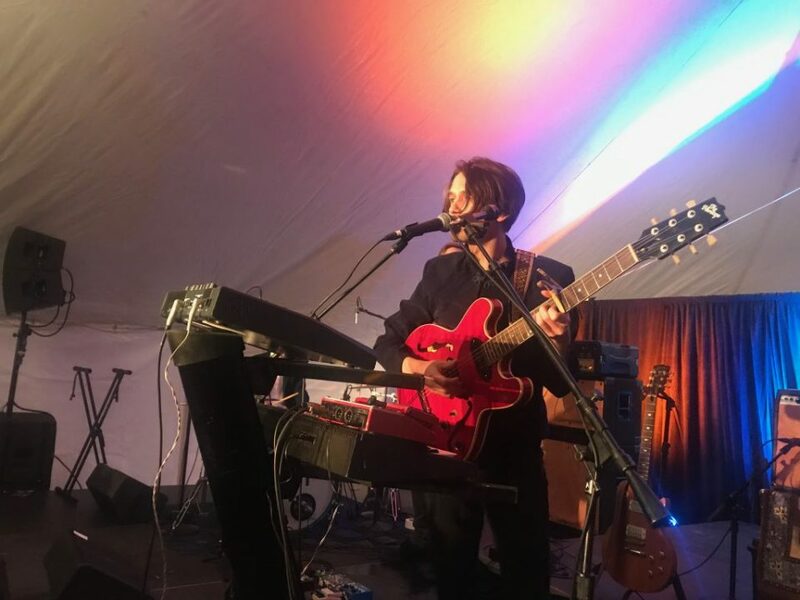 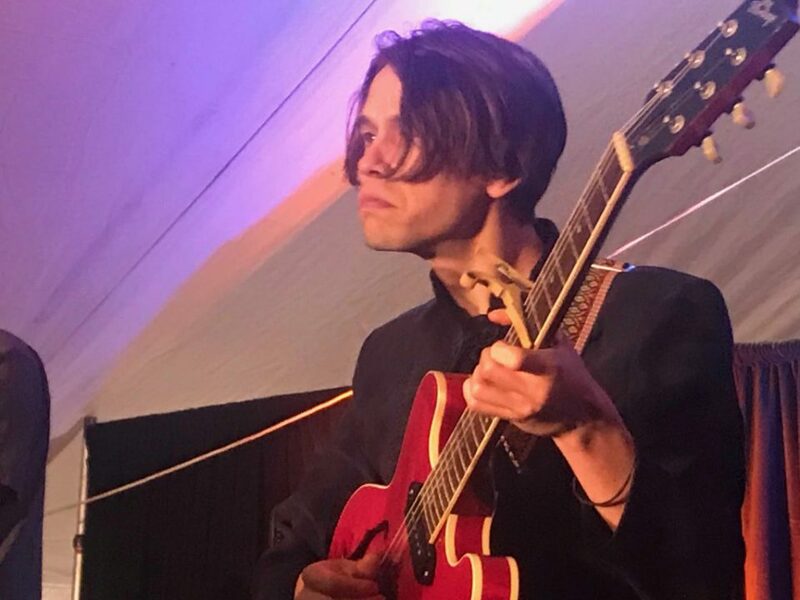 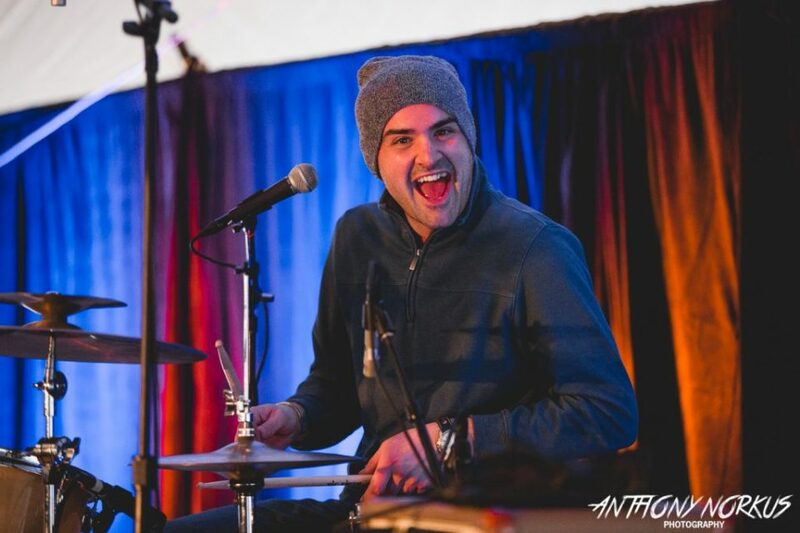 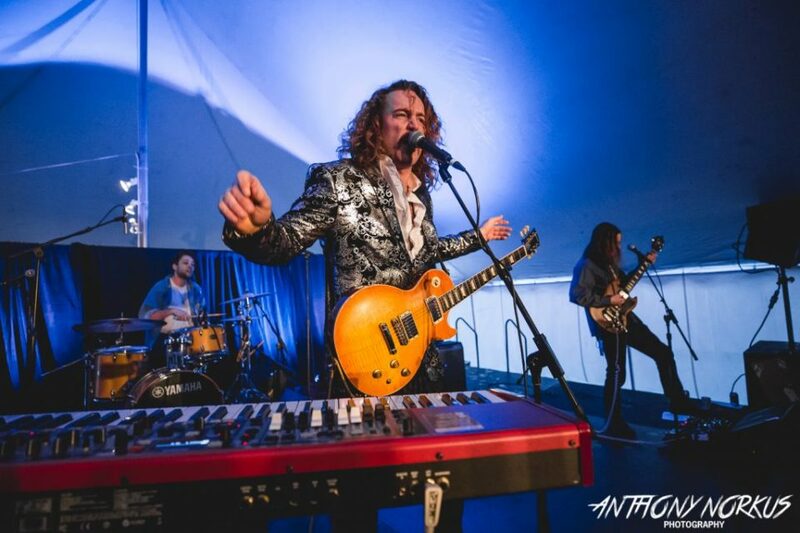 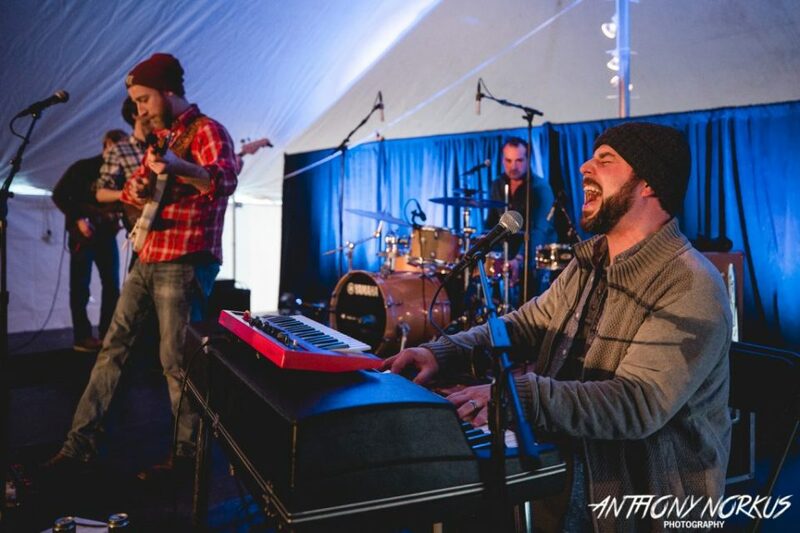 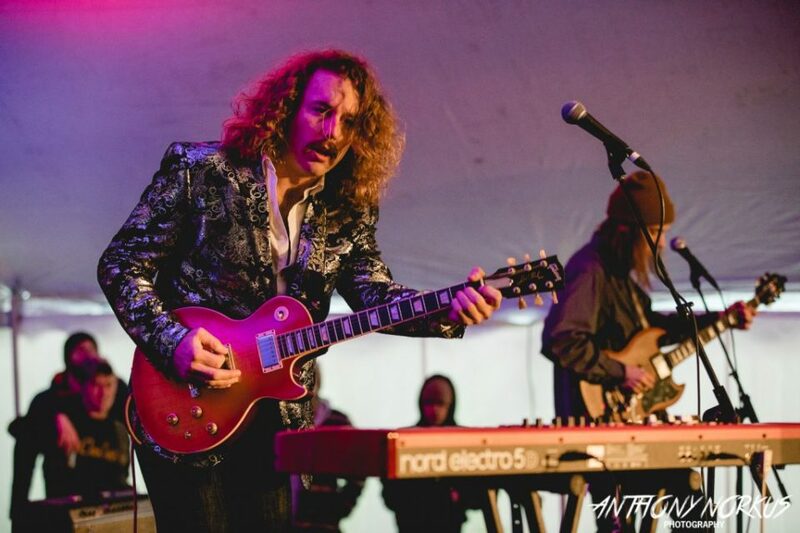 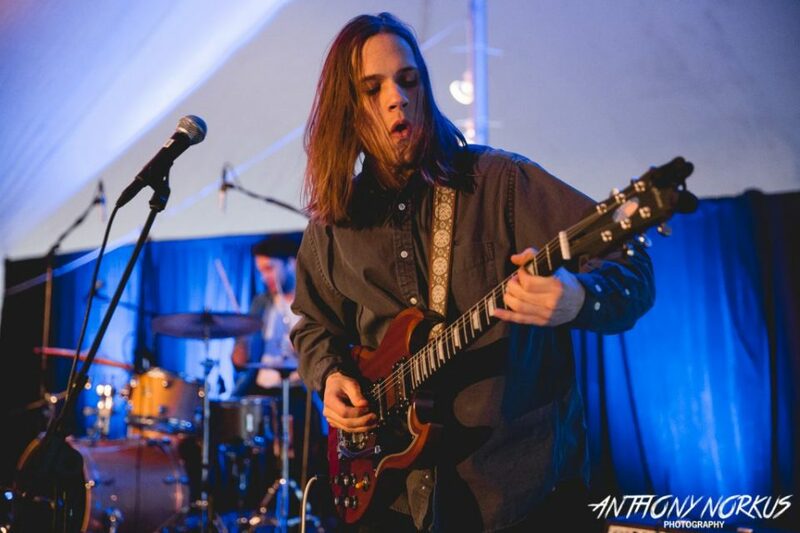 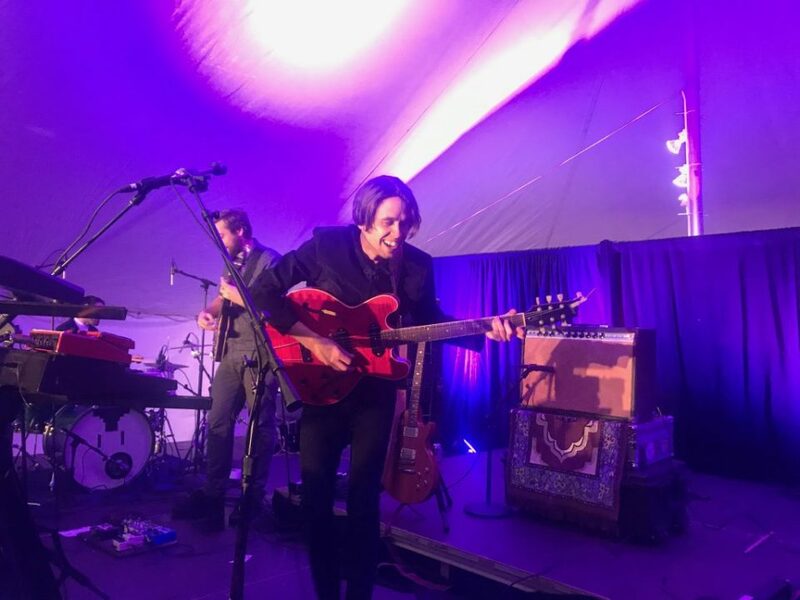 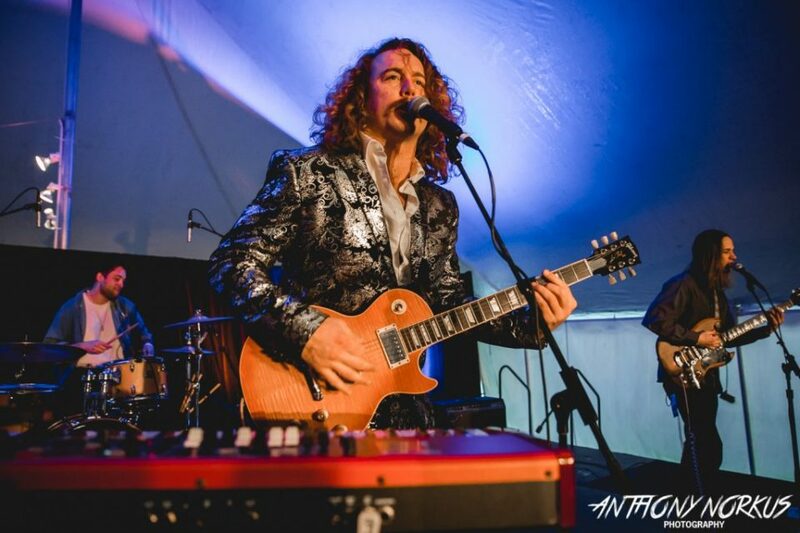 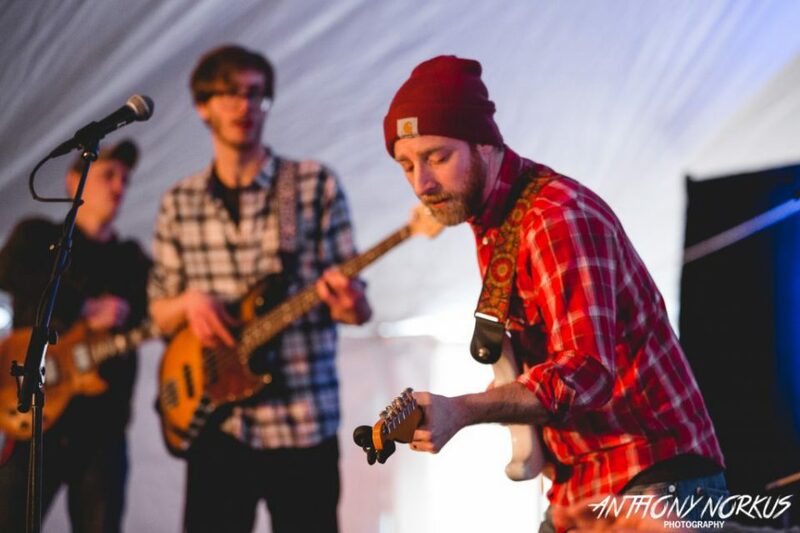 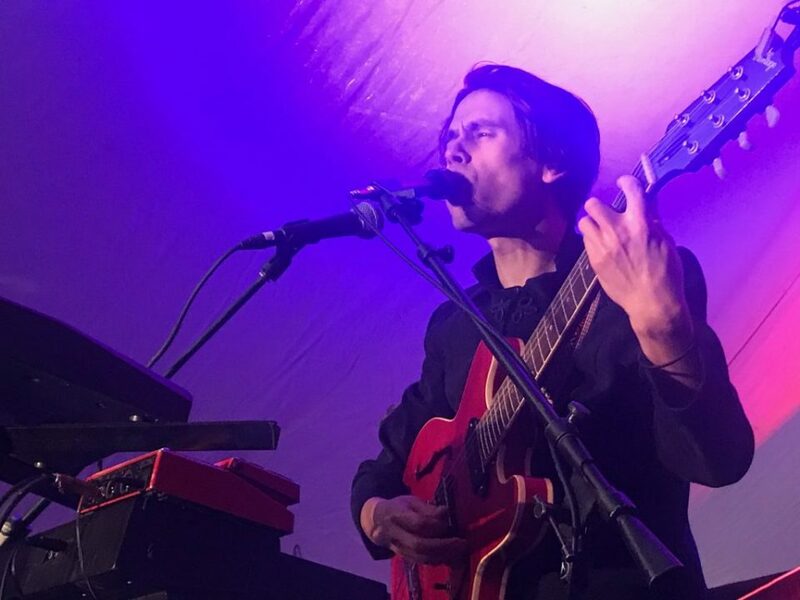 But there were also plenty of jams, courtesy of four bands – The Go Rounds, The Legal Immigrants, The Turnips and Syd Burnham Band – who found a way to warm things up thanks to a mammoth heated tent and some exuberant rock ‘n’ roll sets. 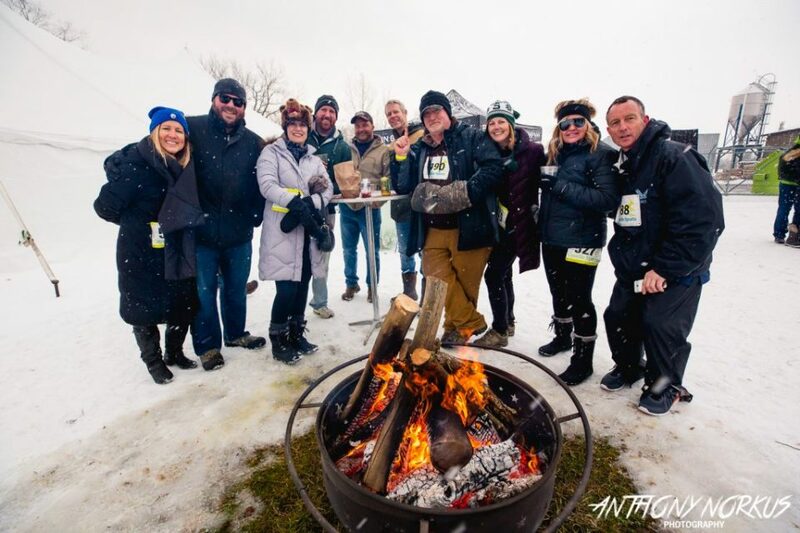 By the time Grand Rapids’ The Legal Immigrants took the stage, midway through the event – which collected money and other donations for Kids’ Food Basket – a few thousand hearty souls (including some of the several hundred runners who took part in the early afternoon Frostbite 5k Run/Walk) were on hand. 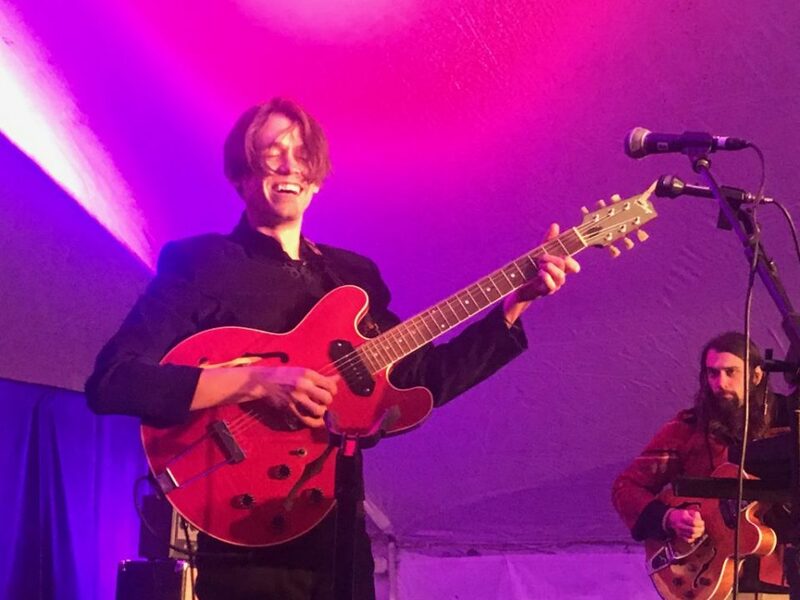 Frontman Joe Bockheim – who told a story about meeting his then-future wife at Perrin – led the rock ‘n’ roll charge with an uber-animated set of new and classic Legal Immigrants’ tunes, followed by Kalamazoo’s always fetching and distinctive The Go Rounds, with lead singer Graham Parsons congratulating attendees for celebrating outdoors in mid-winter inside a big tent. 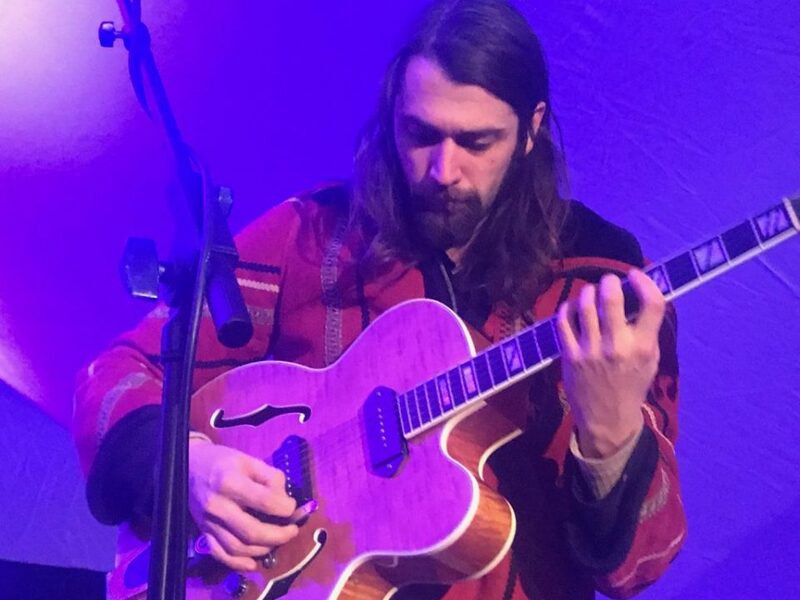 Bands traded stories back stage, high-fived fans and otherwise warded off the January chill. 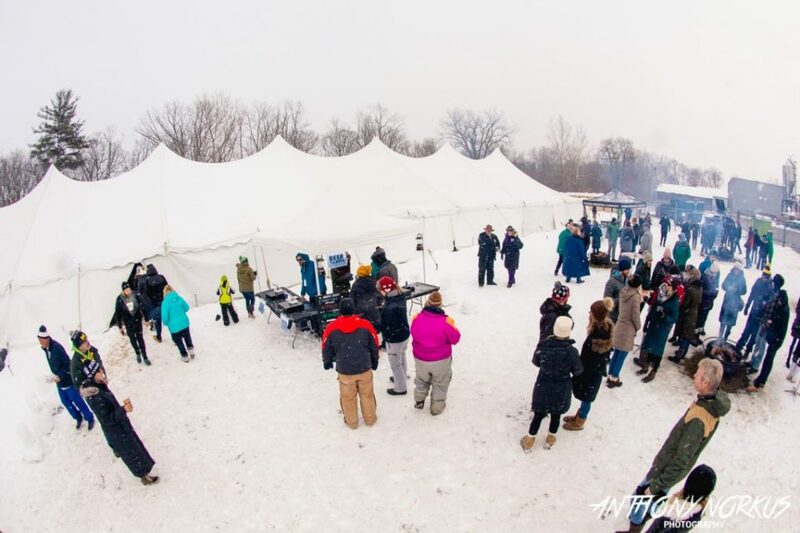 Check out the photo gallery and some video highlights.